Thanks in advance for the assistance ! They should have been removed automatically for you. If they still appear in Apple Photos empty the Trash if you have dragged the trial to it and then restart the computer. 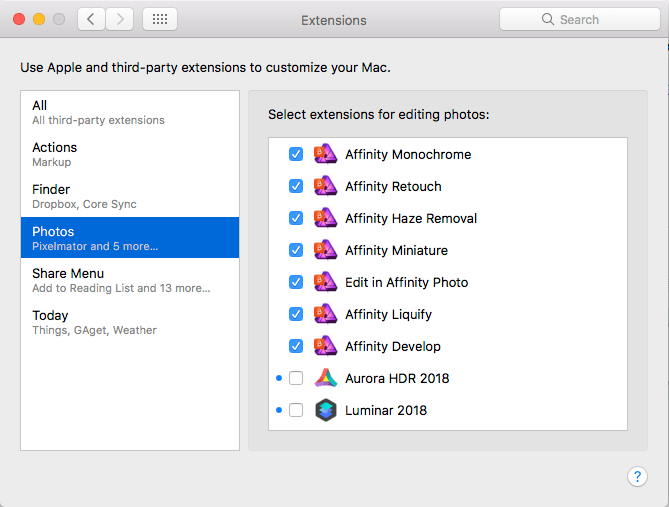 Although they should not appear anymore after the restart there's another place where you can disable them: run System Preferences, go to the Extensions section, select Photos on the list on the left and untick the extenions you want on the list on the right. Thanks a lot... Stupid me ! Worked fine !